Oh man, so much to do. TFSource just let me know my Master Piece SideSwipe is in stock so he’ll be arriving soon and I gotta get these posts done! 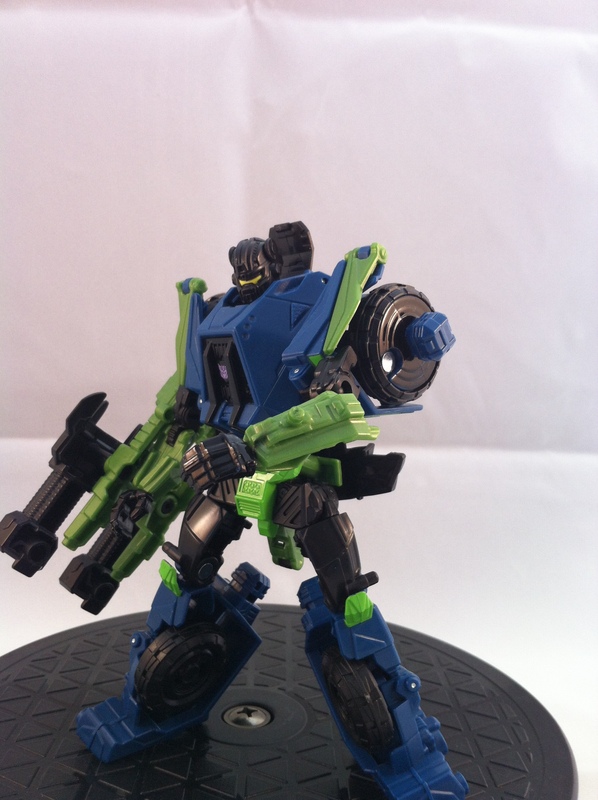 Let me reiterate here – I LOVE this mold of Onslaught. LOVE It. You can see my original post on the SDCC version here. The gun is obviously a bit bigger than the cover art – but it sure as heck is similar! Also, I continue to insist that the weapon be stored on his forearm and not in his hand. Its just too darn big for it to be a hand-held gun. 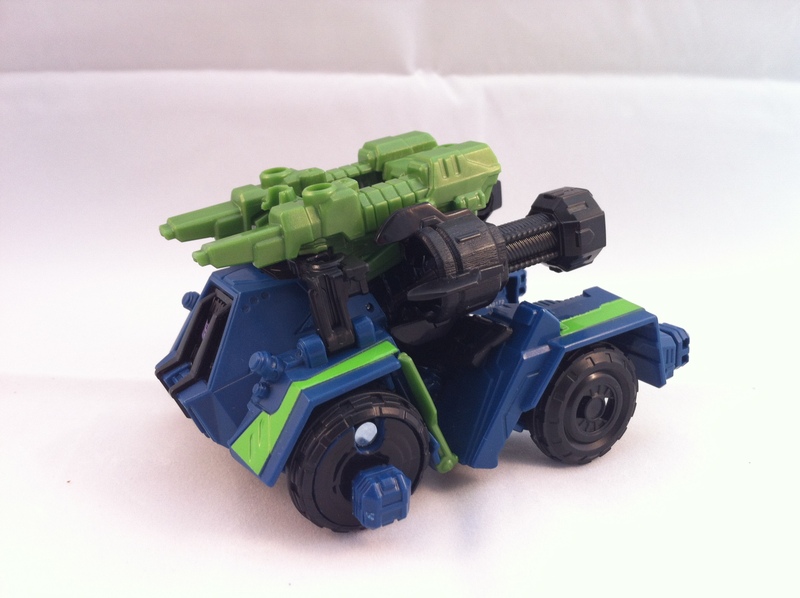 I really really wish Hasbro would have designed this thing to store on his back, like every other Onslaught, and give him a regular rifle. But for now, I’m quite happy with this. Onslaught, like the rest of this set, tends to get a lot of negative feedback. I think the issue is, a lot of people don’t realize his shoulder articulation is a key aspect to his arms being posed. 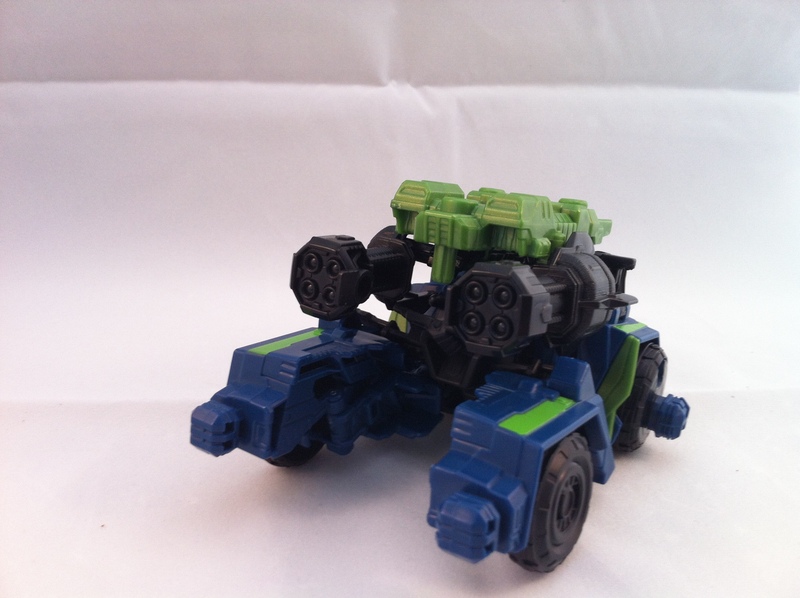 The smaller, ball joint is really just the elbow. 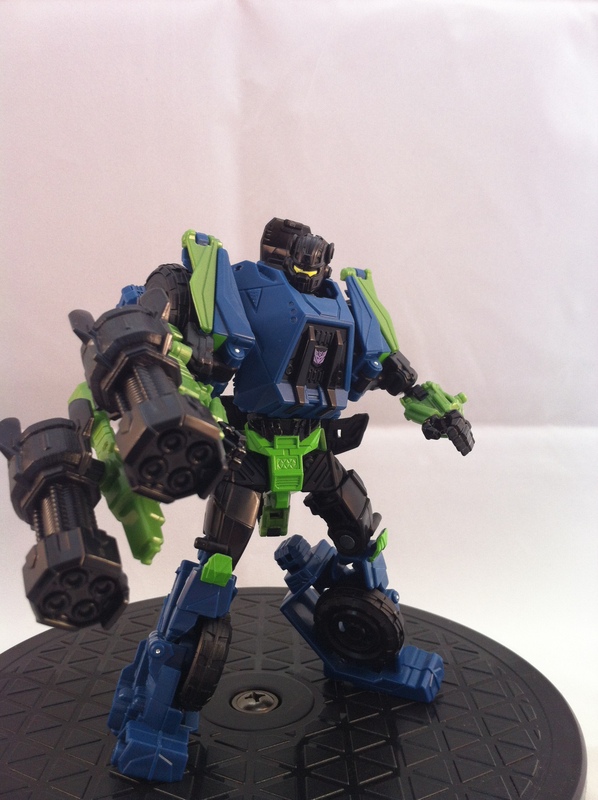 He can’t bring his arm outward, but for any up-and-down pose, you can still make him look very good. 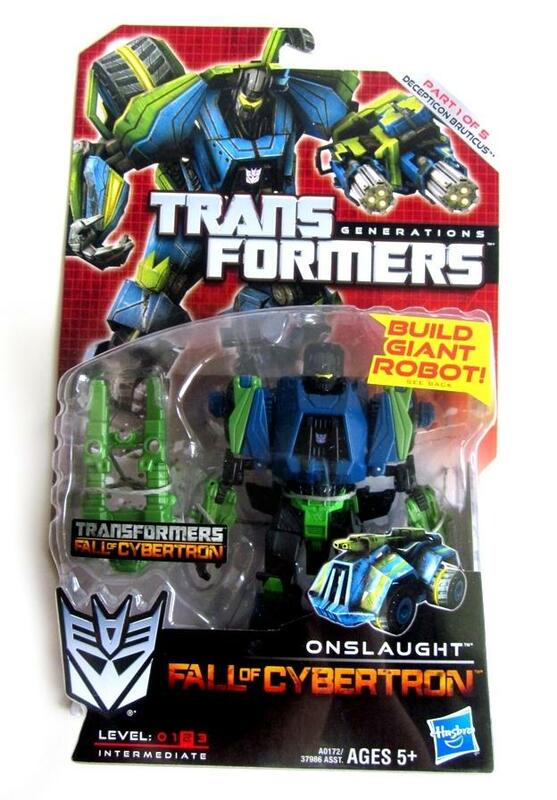 Again, I don’t blame Hasbro for the obvious negatives in the design, because they were trying something new. 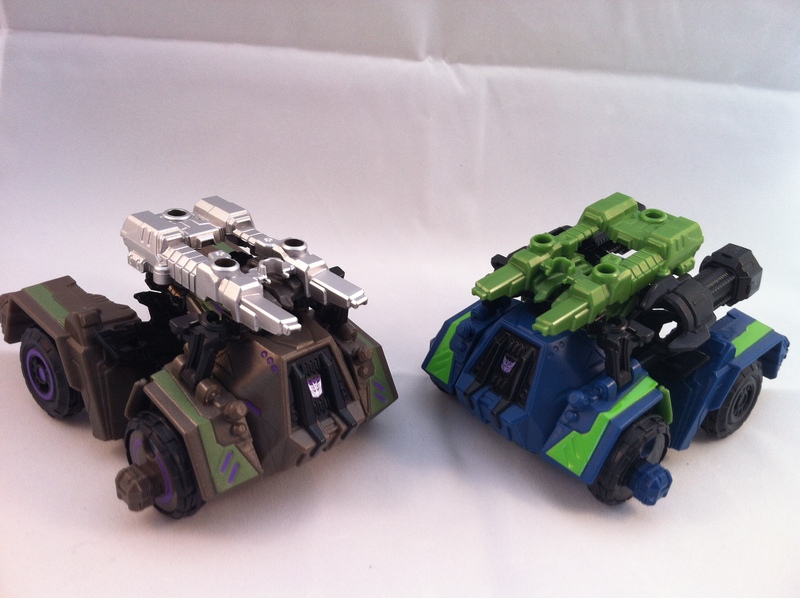 I just hope we get some new designs for future figures using these guys as test-beds. I would also point out – as a lot of pictures get this wrong – that his head should lift all the way up until it clicks into place. Many, MANY pictures show his head only partially lifted up which looks goofy. 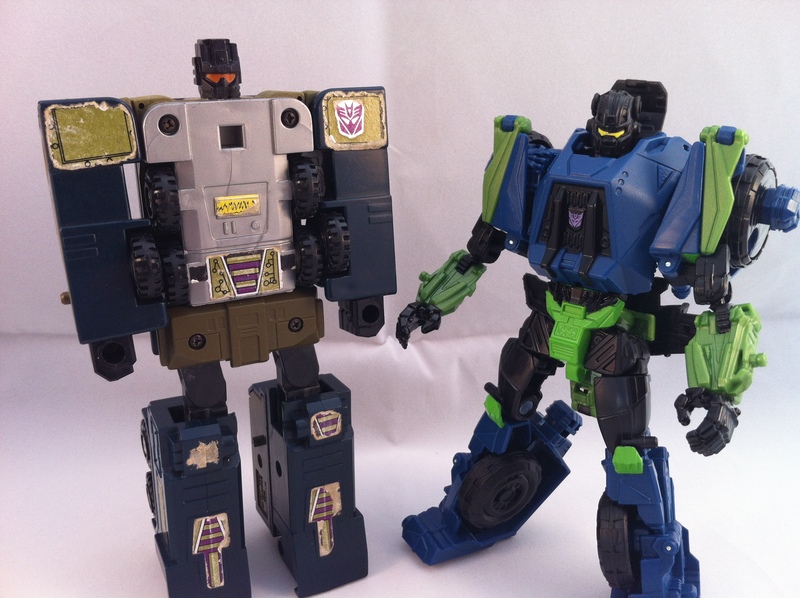 I really don’t mind the colors, I know some people don’t like the lime-green highlights, and I admit, I wouldn’t mind G1’s olive greens being used instead, but in the end, I think they look really good as an homage to the G1 classic. They also cover the head and hands a really well, so you don’t see anything through the sides. I’ll leave the Bruticus details for when I have the whole team assembled. I could use SDCC Brawl and Blast Off, but I’d rather wait till I have the full retail set. 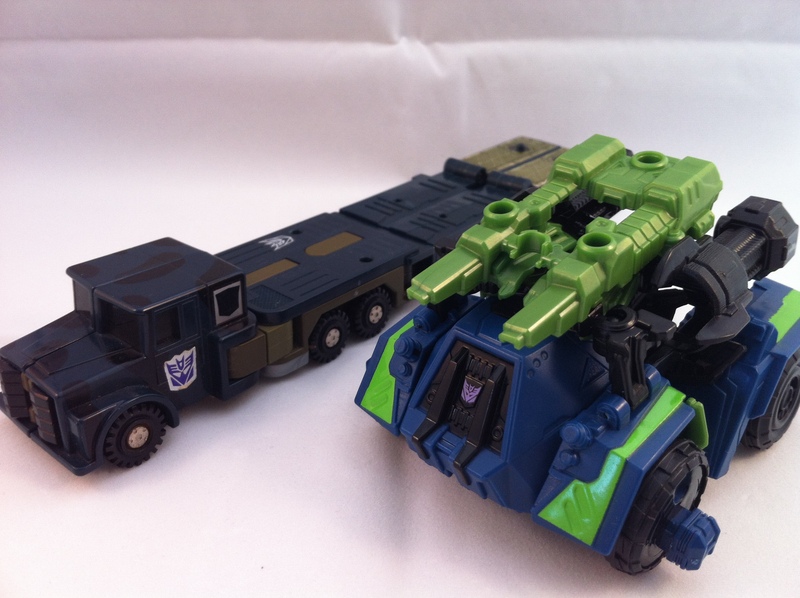 At this rate, I’ll end up with the G2 Set before retail…lol. Next up is Vortex, Stay tuned! 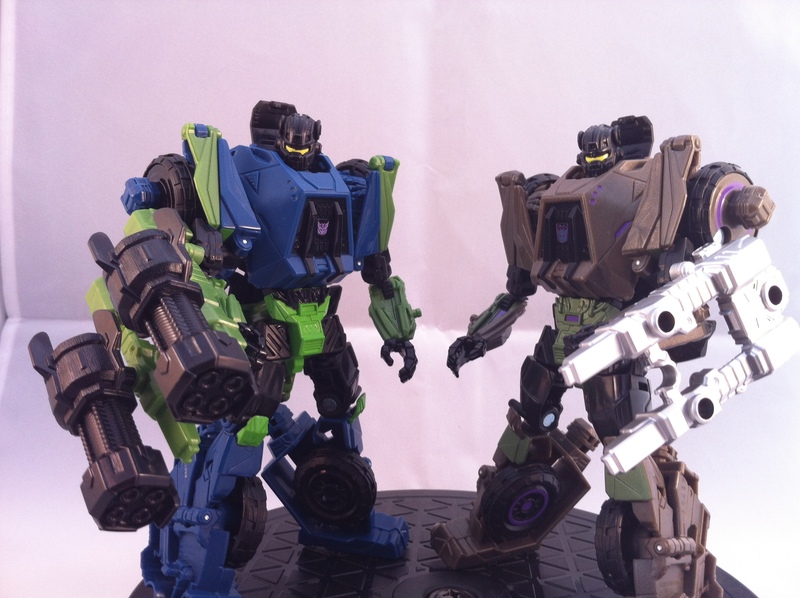 I actually prefer the retail colors on Onslaught. Still have yet to find these at retail in my neck of the woods.